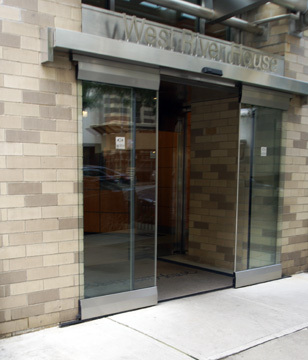 West River House at 424 West End Avenue on the southeast corner at 81st Street was designed by Philip Birnbaum Associates and erected by Donald Zucker. 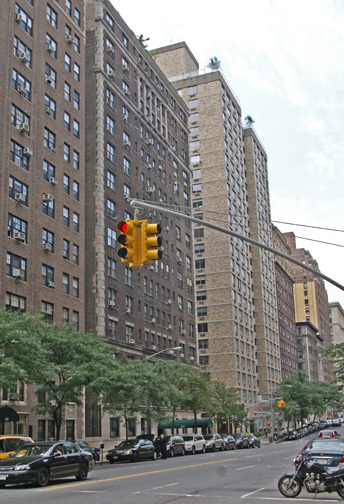 The 21-story gray-brick building has 236 rental apartments, many with windowed kitchens, fireplaces, and balconies and apartments on the higher floors have 10-foot ceilings. It has a fitness center, three racquetball courts on the penthouse level, a landscaped roof sundeck, a 24-hour doorman, a valet, a laundry room on every floor and a garage. 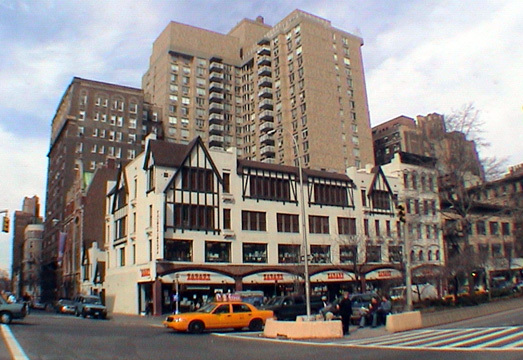 It is very close to Zabar's, the food store on Broadway as well as the 79th Street Boat Basin in the Hudson River. .In 1873, the Rev. Charles F. Hoffman was called as rector. Heir to a large fortune, he offered to pay for the cost of a new church on the same site....Built from 1888 to 190 and designed by Samuel B. Snook and J. B. Snook & Sons, this Gothic building was ingeniously oriented on a diagonal basis, creating a 140-foot-long sanctuary on a 100-by-102-foot plot of ground. But the size of All Angels' Church, which seated 1,200, was ultimately a liability for a parish that had only 150 members by 1976. Services and operations were moved into the parish house, at 251 West 80th Street....built in 1904 to designs by Henry J. Hardenbergh, architect of the Dakota apartments and Plaza Hotel - and the church was razed in 1979 to make way for the 21-story apartment tower, West River House."